1.1 If you have an Apple TV, you can mirror what you see in your iPhone to the big screen. This is how you do it properly. Read on. 1.2.1 Make sure that you’re close to your Apple TV. 1.2.2 Open the app that you want to AirPlay from. 1.2.3 Tap AirPlay icon. In some apps, like Photos, tap , then tap share icon. You can also use Control Center to AirPlay music just by switching the audio output. 1.2.4 Select your AirPlay device. Don’t see your Apple TV or AirPlay-enabled device? Try connecting your iOS device to the same Wi-Fi network as the device you want to AirPlay to. 1.3.2 Make sure that you’re close to your Apple TV. 1.3.3 On your iOS device, swipe up from the bottom of your screen to open Control Center. 1.3.4 In Control Center, tap Screen Mirroring, then select your Apple TV from the list. Don’t see your Apple TV or AirPlay-enabled device? Try connecting your iOS device to the same Wi-Fi network as the device you want to AirPlay to. 1.3.5 If an AirPlay passcode appears on your TV screen, enter the passcode on your iOS device. 1.3.6 Your TV uses your iOS device’s screen orientation and aspect ratio. To fill your TV screen with the mirrored iOS device screen, change your TV’s aspect ratio or zoom settings. 1.4.1 Open the app that’s using AirPlay. 1.4.2 Tap AirPlay icon. To stop mirroring your iOS device, open Control Center and tap Screen Mirroring. 1.4.3 Tap your iOS device from the list. 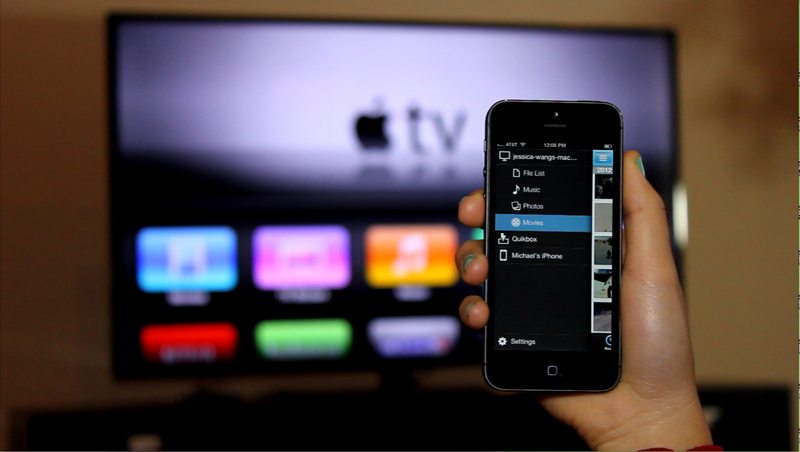 If you have an Apple TV, you can mirror what you see in your iPhone to the big screen. This is how you do it properly. Read on. Make sure that you’re close to your Apple TV. Open the app that you want to AirPlay from. Tap AirPlay icon. In some apps, like Photos, tap , then tap share icon. You can also use Control Center to AirPlay music just by switching the audio output. Select your AirPlay device. Don’t see your Apple TV or AirPlay-enabled device? Try connecting your iOS device to the same Wi-Fi network as the device you want to AirPlay to. In Control Center, tap Screen Mirroring, then select your Apple TV from the list. Don’t see your Apple TV or AirPlay-enabled device? Try connecting your iOS device to the same Wi-Fi network as the device you want to AirPlay to. Your TV uses your iOS device’s screen orientation and aspect ratio. To fill your TV screen with the mirrored iOS device screen, change your TV’s aspect ratio or zoom settings. Open the app that’s using AirPlay. Tap AirPlay icon. To stop mirroring your iOS device, open Control Center and tap Screen Mirroring.